Dan Bennett, will personally design a cycling training programme based upon your racing and training goals. Your programme will include a range of training, racing and lifestyle advice (dependent upon programme) that is designed around your needs. There are a range of training programmes to suit all budgets and needs. You will not need any other advice. Dan Bennett has been interested in sports training since 1992, through the development of his own training programs for cycling, rowing and triathlon. This initial interest led him to read for a Sports Science Degree. He specialized in sports coaching, exercise physiology biomechanics, sport psychology, sports injury and rehabilitation. Since completing his degree he has been busy building a cycle coaching business. 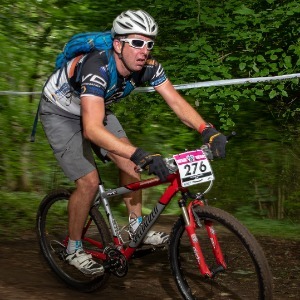 He is an accredited British Cycling Tutor and has also coached talented team riders for British Cycling, professional and national level riders for road, time trial, MTB and is a British Cycling Club coach. The key philosophy of Dan and Progressive Cycle Coaching is to promote the attainment of a client’s goals through highly individualised and progressive training programs. Dan believes that individualised programs are the only way to achieve the goals of an individual, whether the goals are to lose fat mass or to improve cycling performance. Making every training session count is also a key requirement as we all have minimal time and require maximal results. Using a periodised approach so every client progresses in a safe and scientifically proven manner. He believes that all clients should also have unlimited access to their coach at any time improving communication and rider development. I accept any client who wishes to improve themselves on the bike and is willing to follow a training plan. Success. Coach Dan Bennett has been notified of your message.